Mobogenie is a Android phone manager that can be used to transfer pictures and other data between your PC and your mobile phone. Mobogenie is technically not a virus but classified as a Potentially Unwanted Program (PUP) that primarily installs to your computer with or without consent alongside software downloaded from website like download.com, Softonic, Brothersoft and other monetized freeware and shareware distribution websites that distribute bundled installation files contain unwanted software. In most cases Mobogenie is installed whitout your knowledge, and many users have no idea where Mobogenie did come from, so it’s not surprising at all that most of them assume that it is a virus and also because it creates new startup key with name Mobogenie and value Mobogenie.exe and automatically start when you turn on your computer and login to Windows. 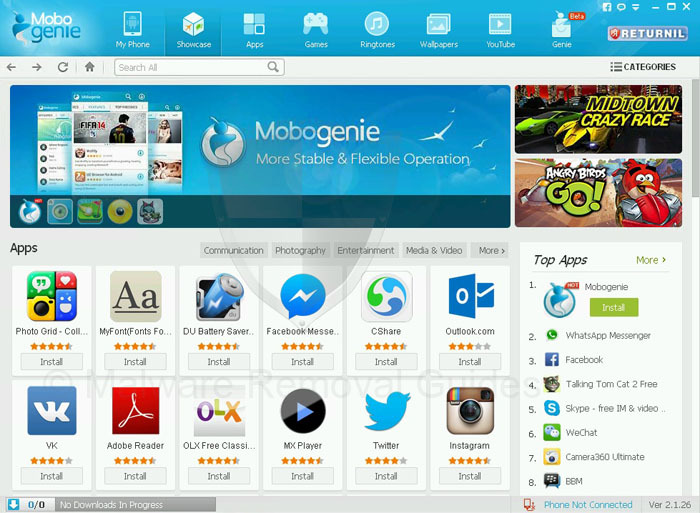 Mobogenie is also bundled with other third party installers, that will install unwanted software on your computer without your knowledge. When Mobogenie is present on your computer you can use this comprehensive Mobogenie Removal Guide below to remove this unwatend program completely from your computer in a few steps with free tools. 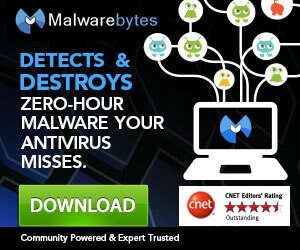 Because Mobogenie is bundled with program’s that contains adware like the Nationzoom browser hijacker, we recommend to check your computer with AdwCleaner, Malwarebytes Anti-Malware and HitmanPro. All tools used in our Mobogenie Removal Guide are completely free to use and should remove any trace of malware from your computer. Step 1 – Remove Mobogenie from the softwarelist.